If you’ve visited Copenhagen, you’ll know that Denmark’s capital city is one of the most beautiful places in the world. With the colorful waterside buildings of Nyhavn, the incredible Tivoli gardens, the iconic Little Mermaid statue, and the historical museums, there is so much to see and do in Copenhagen – you’ll probably need a good few weeks to really see the whole of the city! 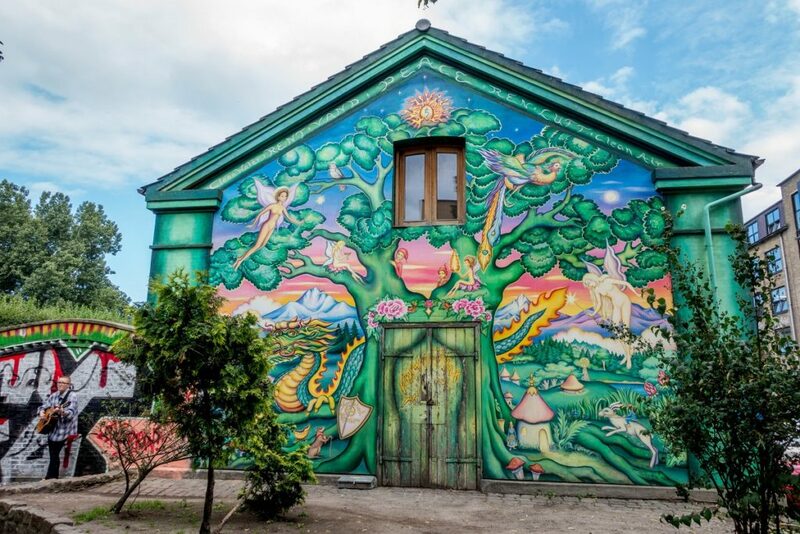 However, there are a few places that tourists rarely go; including Freetown Christiania. The neighborhood of Christiana is often called Freetown Christiania – because it is just that; a free town. The neighborhood resides in the Danish borough of Christianshavn and covers an incredible 34 acres of land. However, this isn’t your normal neighborhood. Instead, this area is an autonomous neighborhood that houses 350 residents, has its own flag and its own motto: ‘You cannot kill us.’ The neighborhood has been notoriously avoided by the Danish government and police force and is often regarded as a ‘hippie’ commune. Before the Christiania neighborhood was established as the modern living space it is today, the area was built and developed for King Christian IV in 1617. In the middle of the 20th-Century, the area was used as a military barracks. These barracks were called the Bådsmandsstræde, used by the Army Materiel Command and the Royal Artillery Regiment. They also housed the laboratories that created and developed ammunition during the Second World War. After the war, the barracks were no longer needed – so they were completely abandoned. Nowadays, the people who live in Christiania (known as the Christianites) are known for their practice of yoga and meditation – as well as being one of the most liberal areas in the whole of Denmark. The Christianites are also known for their impressive theater collective, and often entice visitors from all across the world with their thespian abilities. However, more than anything – the area of Freetown Christiania is known for its complete separation from the Danish government. 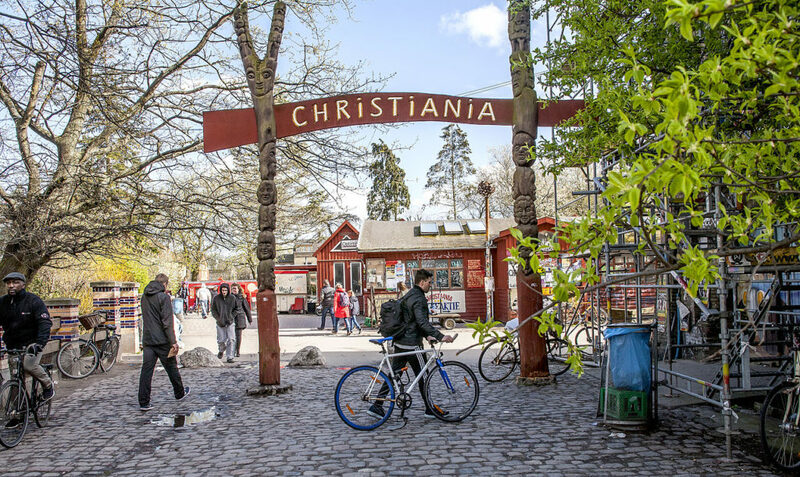 The people of Freetown Christiania have established and written their own rules; many of which forbid the practice of violence, carrying guns, knives or any other things. Up until the early 2000s, residents of Freetown Christiania had lived rent-free in their makeshift houses and abandoned barracks. However, the Danish government threatened them with permanent eviction and bulldozing – so the residents agreed to formally buy out the land, and become legal and permanent land owners. The residents have since been paying their own rent and household bills. 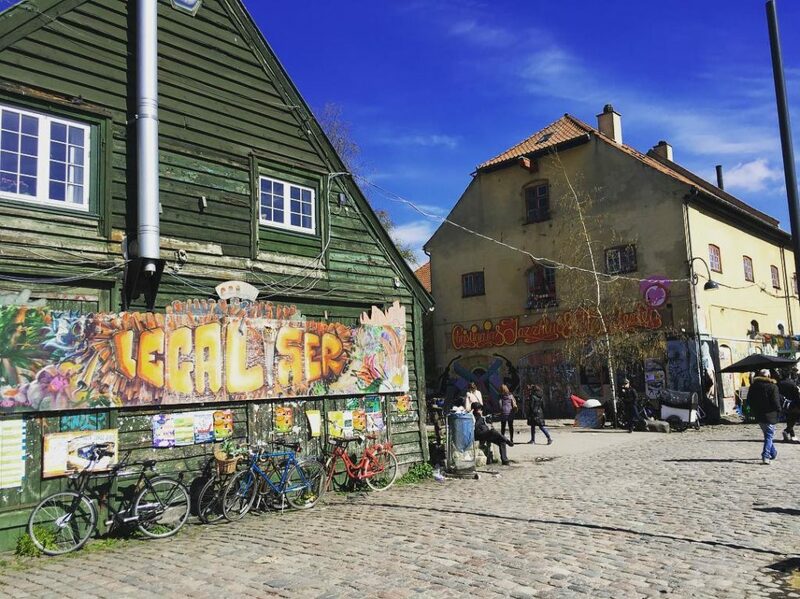 Although the structure of Freetown Christiania is changing, the area is still an intriguing destination to visit – but maybe not one you’d put at the top of your ‘must-see destinations in Copenhagen’ list!